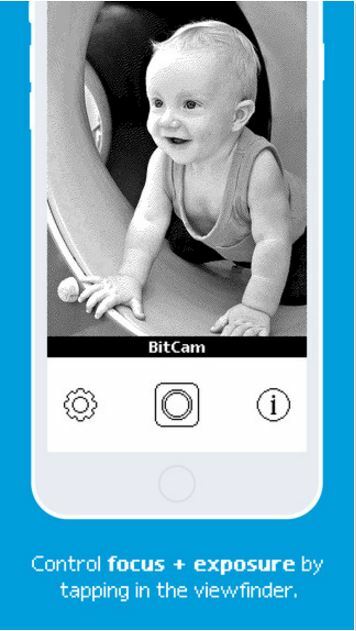 1) What were your thoughts while coming up with an App like BitCam? We were simply trying to think of a fun way to help celebrate our company’s 20th anniversary. We naturally thought back to what technology was like back then, what users had to go through to get online or to take a photograph, etc and the App grew as an extension of that. 2) What makes BitCam a completely different App from others? I think its loving treatment of the user interface, the attention to detail in the buttons, image quality, icons and even the sound effects all help convey where we came from as geeks and our love of the Macintosh platform. Even down to the dialog boxes and the fonts used, we tried to give the whole App a distinctly retro feel and I hope we succeeded. 3) How was the response of your team when you were planning to develop an App like BitCam? Well, our lead engineer, Craig Hockenberry did the initial development on his own in secret and then unveiled it to the rest of the team and when we did we all fell in love with it right away. We instantly jumped on board to help him flush out the App’s UI and user experience and we all had tons of fun doing it. 4) What challenges did you face during its development? One challenge was the nature of today’s hardware with retina displays. 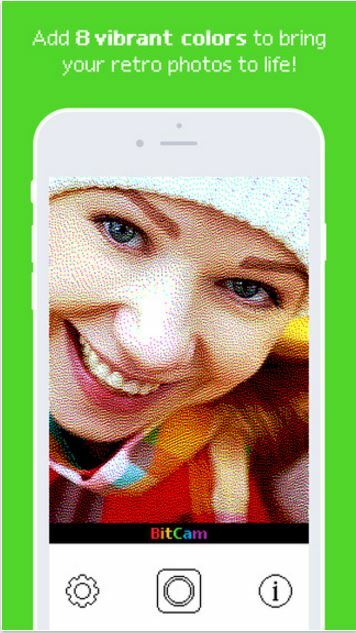 Pixels are so small these days that they can’t be seen by the naked eye and so to make an App like BitCam where everything was pixellated and chunky took some planning and additional time. Also, today’s hardware is so fast that animation transitions can be nearly instantaneous, but obviously this wasn’t the case back in the day so we intentionally built in “slowness” into some portions of the App like the Super-Res view. When you pan your camera around, the display doesn’t update at 60fps, it does so in a “chunky” manner to help convey what it might have been like to have such a pocket camera back then. 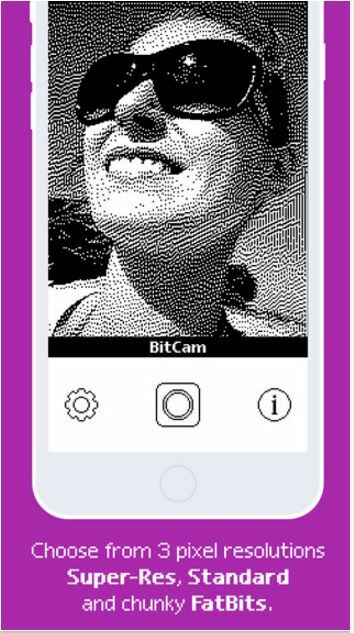 5) BitCam has become pretty popular amongst the people. Can you share the marketing strategy that you used? We invited a group of people we’ve known from the beginnings of the Mac community to beta test the App and get them excited for its release. They helped us spread the word on social media when we launched and they also helped give feedback on how the App should behave during testing. We also planned to have the App be part of our 20Years promotion at the Iconfactory and have that help promote the App as well. Beyond that and the normal social media channels, we really didn’t have much of a marketing campaign. BitCam has spread mainly through word of mouth and from people like us that remember the early days of the web. Nostalgia can be a powerful thing. 6) Developing an App like BitCam must have involved a lot of research. Who did you look up to when you needed help? Craig looked towards the ground breaking work of Bill Atkinson who worked at Apple Computer from 1978 to 1990 and who developed the algorithms used to generate the images we create in BitCam. That was a big part of backbone of BitCam but one that Craig was familiar with since he was around back in the day. 7) Have you developed any Apps for Android platforms? If not, do you plan to do so? No, we have not released any of our Apps for Android, and honestly don’t have plans for it for BitCam. 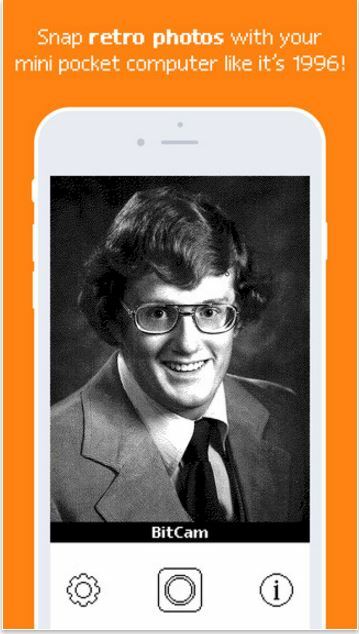 The fun nostalgia oft the App is based the old Macintosh community and would be lost on Android users unfortunately. Plus, none of us have ever been on the Android platform so testing and day-to-day use for the app wouldn’t make sense. 8) Any future Apps that you are currently working? Can you share its details? We just released another photo App for iOS called Exify that lets users examine the metadata behind the photos they take with their iOS devices. It’s gotten some good reviews and was also featured by Apple. We are working on another new App but I can’t give details about that just yet I’m afraid. 9) Lastly, what advice would like to give to upcoming developers? Develop Apps that you care about that do things you personally want them to do, at least to get your feet wet. If you love games then develop a game. If you’ve always wanted a utility to do something that you’ve always needed or wanted, then go that route. It’s much easier to design and develop software you’re personally excited about than to do something just for the sake of doing it. Also, don’t give up. If you encounter challenges along the way, learn from them and push past them. Don’t let bugs or lackluster feedback from beta testers or friends stop you. Adjust your Approach, improve the App and and reach your goals.